One of the leading reasons individuals seek out a chiropractor is for either sudden or chronic back pain. While many people head straight to their primary care doctor when seeking low back pain treatment, chiropractors often take a more holistic approach to treating these individuals. When it comes to chiropractic care and low back pain treatments, the focus is on non-surgical treatment, using spinal manipulation as the primary treatment focus. For some, visiting a chiropractor can be somewhat intimidating because it isn’t considered “traditional” medicine. Some even consider chiropractic care as more invasive. To better prepare you for your first visit to the chiropractor, here is a short list of steps you can expect during your visit. When you first meet with your new chiropractor, you’ll sit down and talk one-on-one with them about why you are there. As with your primary care physician, you’ll want to be specific about what is bothering you, where, and what you believe may be causing the issue. You’ll also want to explain any other options you’ve tried for low back pain treatments. Again, just like visiting your primary care physician, you’ll be asked to detail your personal and family health history. 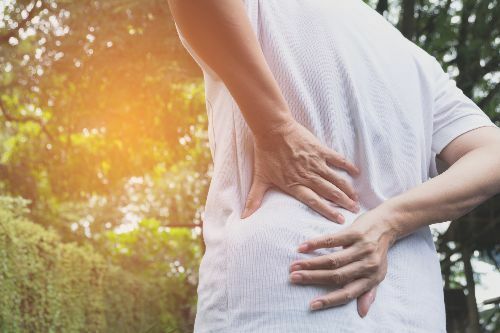 Low back pain can have some causes, so you’ll want to make sure you give your chiropractor as much detail as you can as far as ailments in the past and anything your family members may have dealt with in their health history. Finally, before any treatment is applied, your chiropractor will do a full physical examination. The examination will include taking a look at your posture and body and may also involve having x-rays taken to see if there are any apparent reasons behind your pain. As with any treatment, low back pain treatments will take time to give you more permanent relief. One visit to the chiropractor won’t solve the issue, but it could very well be the first step on the road to recovery. Making your first appointment is vital, and we make it easy to do so. One of our staff members will then promptly schedule you with an appointment that will fit your schedule. Give the Skaggs Chiropractic, LLC office a call at our Joplin, Missouri office using number: (417) 624-4242.